Every family deserves and can greatly benefit from a good night’s sleep, every night. Sleep consultants are non-medical sleep health professionals and sleep experts who help families get a better night’s sleep. They’ve undergone extensive training in specialized certification programs that equip them with strategies to help solve children sleep issues from infancy through 5 years of age. Baby sleep consultants help families establish healthy sleep habits and enjoy restful, quality sleep on a consistent basis. 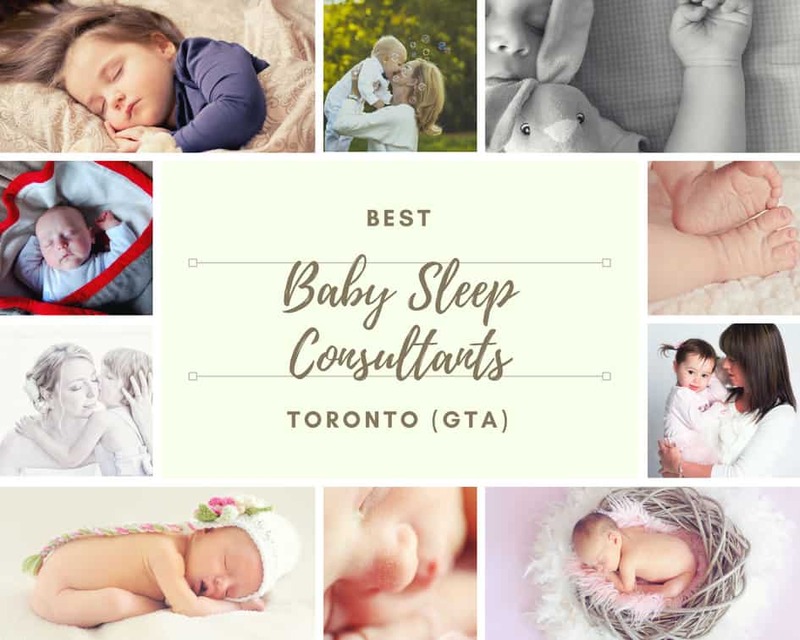 Our list of best baby sleep consultants in Toronto (GTA) is selected based on the following evaluation criteria and contains no sponsorship, affiliated marketing, or paid advertisement. We are constantly updating this list. 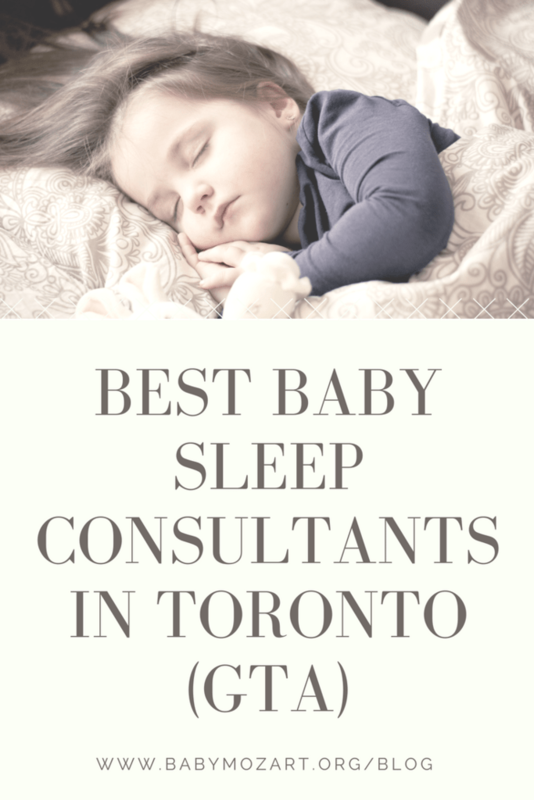 If you are a baby sleep consultant in Toronto (GTA) or surrounding area and would like to be considered for inclusion as part of the best baby sleep consultants in Toronto (GTA), or a happy parent who would like to nominate your favorite baby sleep consultant, please contact us. Alanna McGinn is the mother of three wonderful children (1 + twins!) the wife of an amazing husband, and resides in Ontario Canada. She is Founder and Sleep Consultant of Good Night Sleep Site, Parent Prep Educator, Director for the International Association of Child Sleep Consultants (IACSC), and serves on the faculty of the Family Sleep Institute. Alanna and her team of Good Night Sleep Consultants help families around the world – from baby to adult – sleep better and get the sleep health they deserve. Rosalee Lahaie Hera is a Certified Sleep Consultant who has been in your sleep-deprived shoes. Her approach is gentle, customized, and based on science. She analyzes over 50 different sleep-related factors while getting to know you, your family, and your baby. Based on this information, she creates a plan that includes proven techniques to achieve the results you want, within the parameters of what you’re comfortable with. Special OFFER: Received a 10% discount from any Baby Sleep Love package if you mention seeing the post on BabyMozartBlog! Rebecca’s goal is to affect positive and long-lasting changes to the sleep habits of infants, children and adults. Her personal and recent experience with sleep deprivation provides invaluable perspective, ensuring comprehensive and supportive guidance. Amanda started Baby’s Best Sleep in 2017 after completing her maternity leave with her second daughter. She became a member of the Association of Professional Sleep Consultants. Amanda works within a parent-centered approach. If parents are feeling supported, nurtured, and respected, so will their baby. The New Mummy Company offers a unique personalized sleep consultancy which includes home visits where required. They are then able to walk through the bedtime schedule allowing them to coach and advise on the routine and answer questions. Eva Klein is a Certified Infant and Child Sleep Consultant. She provides customized sleep solutions for your child’s sleep needs. Eva’s main goal is to assist her clients establish healthy sleep habits for their children. After experiencing the debilitating effects of chronic sleep deprivation from her two children, Eva was inspired to help families overcome their sleep challenges. Eva truly empathizes with her clients’ sleep troubles and personally invests herself in their sleep journey. Happy Little Sleepers offers personalized infant and toddler sleep solutions for your child’s unique needs while matching your individual parenting style. As a pediatric sleep consultant, Amanda will support, educate and empower you while gently guiding your child with a compassionate approach, teaching great sleep skills that will last a lifetime. Special care is taken to understand your individual needs and create a custom sleep plan for your family. WeeSleep helps moms around the globe live rested through positive and gentle sleep coaching for children. When baby is rested; mom is rested! With personalized and professional support, WeeSleep can help children become independent sleepers with one-one-coaching and gentle techniques. KinderSleep has been supporting families since 1999. In the past 13 years, KinderSleep’s practice has focused primarily on sleep and night support. Whether you are struggling with baby, toddler, or preschooler sleep or not managing yourself, you can count on KinderSleep to help your family sift through the sleep advice and use evidence-based gentle techniques to help your family get better sleep. As of mother of 2 very energetic boys 20 months apart, Kim Belrose, Certified Sleep Consultant appreciates what good, healthy sleep does for not only your children, but your marriage and family as a whole. Kim attended Laurentian University in Sudbury, Ontario and graduated with Honours Bachelor of Physical and Health Education (B.P.H.E) and a Concentration in Sport and Physical Education. She is a Sports Administrator for youth soccer leagues, as well as a Certified Infant and Child Sleep Consultant through the Family Sleep Institute. Kim is sleep obsessed and gets excited to be able to use her experiences and education to help children get the sleep they truly need for their development, good health and optimal growth. BabyZzz’s custom designed sleep plan solutions TOTALLY work and are based on research from leading paediatric sleep professionals! Special OFFER: Received a 10% discount from any BabyZzz package if you mention seeing the post on BabyMozartBlog! Love our classical music, children songs, white noise, funny sounds, and flashcards? You will love our Baby Mozart app with extra functionalities like listen mode, timer, repeats, etc. And it’s free! Subscribe today to get exclusive advice on our latest parenting tips, brain development tools, music and songs updates, and much much more! Remember, it's 100% FREE! Join our mailing list to receive our latest exclusive tips on raising happy, intelligent, and kids. Thank you! You hope you enjoy Baby Mozart!